With the new year comes new changes within Terrasat Communication — to jump-start the 2019 year, the company has recently surpassed 20K IBUCs shipped worldwide and the firm continues to charge forward by expanding the sales team. Terrasat welcomes Paul Gorton to the team as Director of Sales, EMEA, who will be combining forces with Ron Merritt, Regional VP of EMEA. Paul Gorton arrives from Comtech Xicom Technology and brings with him more than 20+ years of combined experience in application engineering and sales. 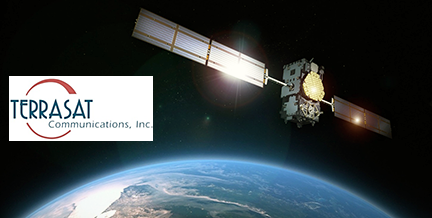 Paul’s extensive knowledge will enable Terrasat Communications to be even more responsive to the needs of the ever-diversifying Satcom market. Bob Hansen, Global Sales & Marketing, said that what has endeared customers to Paul is his broad reaching knowledge and empathy toward their requirements — this matches perfectly with Terrasat Communications’ customer focused approach. Paul Gorton added that this is an exciting time to be working in the industry, with satellite communications playing such a huge role in Aero, Maritime, Government and Military as well as the more traditional VSAT and Broadcast verticals. Paul Gorton will be attending CABSAT 2019 in Dubai along with Ron Merritt and Bob Hansen this March. Please visit the company's website at www.terrasatinc.com for an extended interview with Mr. Gorton.